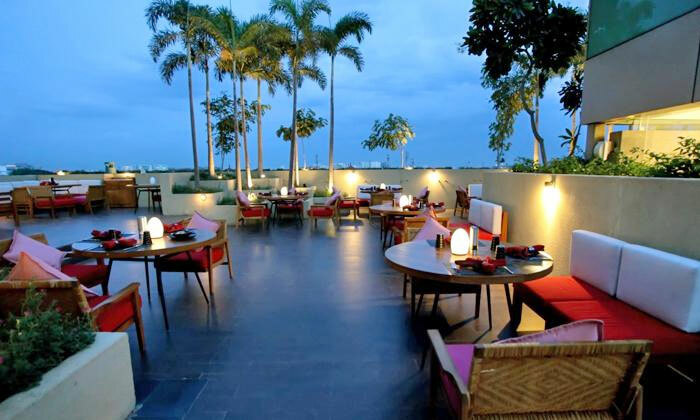 Set within the luxurious hotel The Westin, in Velachery, Chennai, lies the restaurant Sunset Grill. True to its name, the restaurant boasts an open air setting where one can enjoy the views of the sunset as they wine and dine in style. The restaurant serves up dishes of North Indian, Continental cuisines that are prepared with great care and attention. They also serve a rand of bar bites that can be paired with a drink from the well-stocked bar. The restaurant features a warm and relaxed ambiance and boasts a thriving nightlife. All this combined with the efficient service makes Sunset Grill a must visit.